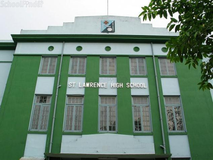 Find below the list of English medium schools in Kolkata with phone number, address, 360° School tours, 2018-19 Admission forms & Fees, photos, facilities & more. 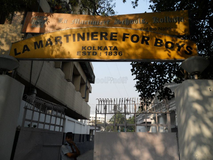 On 1 April 1954, Shri Satikanta Guha founded South Point School at 16 Mandeville Gardens in south Kolkata with Smt. Prityalata Guha as the associate founder. It began with only twenty students and a band of committed teachers. He drew his first faculty from the cultural, literary and artistic milieu of Bengal. The School soon made legendary progress in all fields by all standards. It is now run by the South Point Education Society. 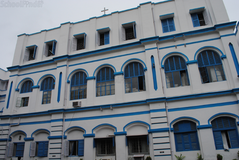 An English-medium and co-educational School, South Point has played a significant role in the social and intellectual history of post-Independent Kolkata. 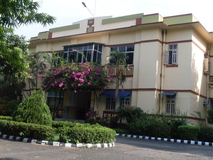 Founded in 1951 with a handful of girls, the Ashok Hall Girls' Higher Secondary School has blossomed into one of the premier educational institutions of the country. Twenty five years ago, on 11th April 1988, a dream was realized for the people of Kolkata in the sylvan surroundings of Behala. Under the guidance of the well known philanthropist and industrialist Shri Madhav Prasadji Birla and Smt. 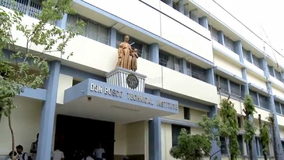 Priyamvada Birla, M.P.Birla Foundation Education Society, a non-profit Institution, established the M.P.Birla Foundation H.S.School on James Long Sarani, Behala, Kolkata. DPS Newtown, under the aegis of the DPS society is a state-of-the-art modern school, the only DPS situated in the heart of Newtown. Spread over a sprawling 12-acre plush campus, the school is equipped with the best of amenities, giving the students ample opportunities to manifest their talents. 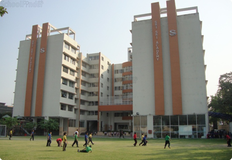 Since its inception on 25th April 2005, the school has striven to provide a holistic education experience that ensures high standards of academic excellence complemented by a kaleidoscope of co-curricular activities. The focus is on nurturing well-rounded personalities with the skills to excel in the world they will inherit in time. You and your child deserve to be looking only at the top English medium schools in Kolkata. We at Sqoolz, have created an all-encompassing list of best English medium schools in Kolkata so that you can pick the one that is most suitable for your needs. Is the location viable? Is the school big enough? What additional facilities do they provide? Find answers to all the important questions with us. You can even take our virtual tour and see for yourself whether or not the school fits your child's needs.